B2B Spotlight | Chapter 1: B2B Customers are people too. We thought it was about time we reflected on the state of B2B marketing and introduced you to some of the clients we’ve collaborated with in recent months, tackling some of the big topics in B2B: customer centricity, digital transformation, personalisation, IoT. But to kick off, we’re looking at cultivating the human element of B2B marketing, through saying ‘bye 2 boring’ content. Our thanks to Brammer’s Peter Smart for sharing his thoughts. Different businesses, same consumer mindset. You might be selling the most technical or niche product imaginable, involving spectacularly complex processes and million pound deals, but in the end, you’re still dealing with human beings. B2B customers, like B2C, want to be listened to, emotionally moved, and entertained. There are differences of course. B2B involves multiple decision makers, each with their own concerns, the audience is usually smaller, sales have longer cycles, with a larger spend and a bigger payoff at the end. Ultimately though, we’re all talking to the same humans. When a B2B customer walks out the office door, they’re a B2C consumer, with the same set of expectations for online content, whether it’s served before or after 5pm. At Freestyle, we’ve sworn ‘bye 2 boring’ when it comes to B2B marketing. Whether you sell industrial adhesives or peristaltic pumps, spring seals or semiconductors, we delight in finding the human angle behind your products and creating campaigns that connect with your audiences on an emotional level. 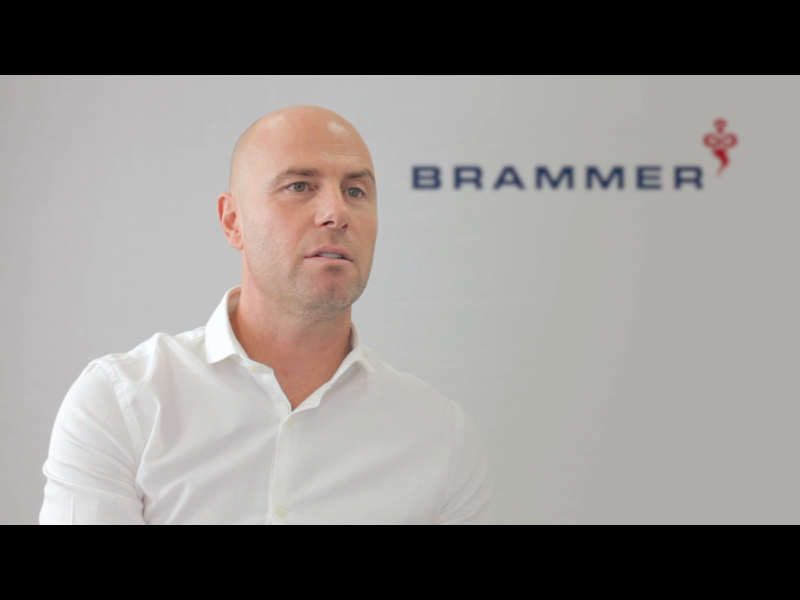 We caught up with Peter Smart, Channel Director at Brammer, to get his take on selling industrial components, the interesting way. For Brammer, some products in their portfolio (like self-lubricating bearings), quite literally make the world go round. They’re used in technology that impacts us every day, from roller blades to monorails, food manufacturing to fidget spinners. ‘Just because you’re selling dry products, it doesn’t mean you have to be boring with your marketing tactics. Every product we sell has a really interesting application’. The internet is the ultimate customer-centric medium, and not surprisingly, evidence has come out in the last year on the need for better online purchase experiences, influenced by outstanding B2C ones. Earlier findings by Accenture suggest exactly that: B2B customers are demanding a “consumerized experience”, largely influenced by the improved B2C interaction process. 22% of UK internet users have downloaded software to block ads, and the rest are mentally blocking it (IAB). Give us content we don’t care about, and we will switch off. Remember, your marketing content is competing against messages from loved ones, a best friend’s wedding photos and two million cat videos. "4.6m new pieces of content every day, yet only 5% get 95% of all engagement." So what can B2b marketers do? Make sure your planning meetings ask the right questions. Stop thinking about how to tell customers about you, and start thinking about what’s important to them. Make this the topic of your marketing meetings, and the subject of your agency briefs! People want to talk about themselves, it’s human instinct. Our job is to understand the sweet spot where our knowledge and expertise overlaps with what interests them personally. And here’s a tip: People want to feel part of a collective shared experience, whether that’s a cause, a #Twitter mob, or a challenge at work. Understanding these shared problems and opportunities, and finding creative ways to get the audience talking about them, is where successful B2B marketing starts. The more time you spend developing your customer personas, the better your chances of honing in on the challenges they face, to create content that truly engages. What are their challenges, fears and desires? Where are they looking for information online? What experience are they having on your website vs. your competitors’? Which review sites and content authors do they trust? What are their typical experiences with products/ services like yours? Where will they be in their buyer journey when they’re likely to encounter your content? Customer journey mapping is a useful way to get your organisation focused on thinking about the customer. Here’s a bit more on how to get started with customer experience maps. By mapping the purchase journey for your personas, you can quickly identify any friction in your customer experience and make significant improvements. "Take away all the barriers to purchase, make it easy for your customers to buy your product." Being new and surprising really matters. It’s a biological fact, novelty promotes memory. It’s how we learn and remember useful stuff. At Freestyle, we took a novel approach to the postcard tradition and this campaign made national news for our client – a ‘boring’ online printing company (that’s right, some shameless promo). B2B businesses have to work harder to get an emotional reaction, because they don’t have brands people intrinsically care about. But, it is still possible to go viral with boring subjects. Even the most niche topic is important to someone. Our challenge is finding creative ways to connect the business with content and conversations that mean a lot to the right people. Once someone has made a choice to pay attention to you, nurture it. It REALLY means something.